Whether you are in Coralville-Iowa City area for work or leisure, the Comfort Suites in Coralville has all the essentials you need to stay on your game and be your best. 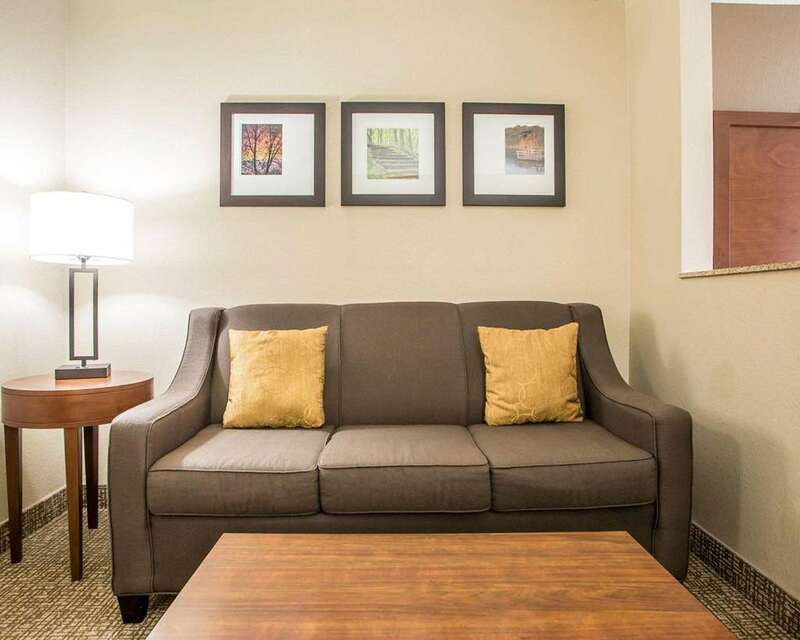 Our suites feature a mini-fridge, microwave, HDTV and full-size sleeper sofa. Stay fit with a 24-hour fitness center. Save money with free hot breakfast daily, WiFi and parking. Our indoor heated pool and hot tub features a 100-foot waterslide. We are conveniently located off I-80, near the I-80 and I-380 interchange, across from Coral Ridge Mall. Earn rewards with every stay with our Choice Privileges Rewards program.